How to use and install Google Publisher Plugin on WordPress? Do you run a self-hosted WordPress site? Do you use any Google service? If you're a dedicated blogger or webmaster, then chances are that you do, because using major Google services such as Google AdSense, Google Webmaster Tools etc. is essential for every webmaster. Now you know how these Google services integrate with other Google services such as Google+ and Blogger etc. But even if you don't run your blog on Blogger, and use WordPress instead, you can use the new Google Publisher Beta Plugin for WordPress to get some of the Google services within your WordPress site! This new Google Plugin for WordPress is downloadable from the WordPress plugins directory, or directly through your WordPress dashboard. You can use the following link to download the plugin. 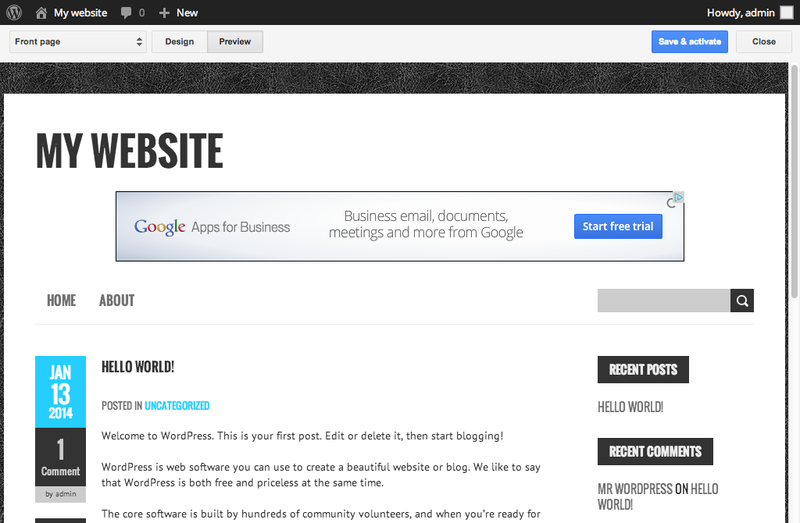 Download it, and then upload it to your WordPress site via Dashboard >> Plugins >> Add New. 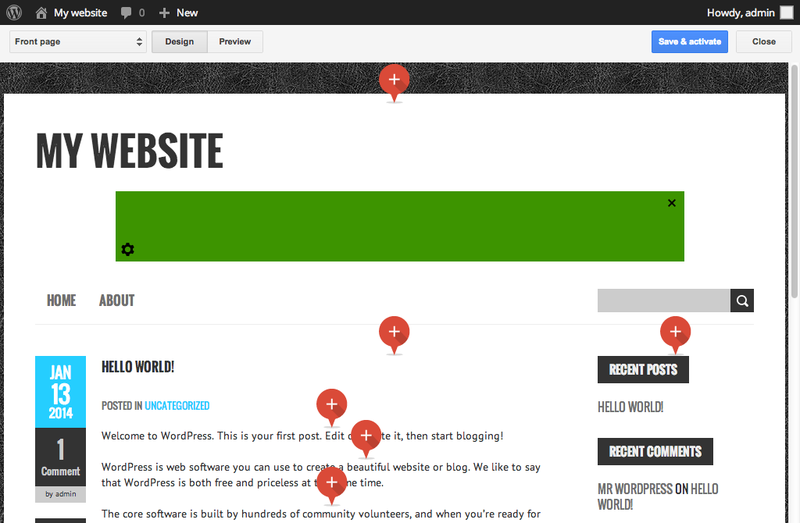 Although still in beta phase, this plugin adds a lot of new functionality to publisher' WordPress websites. It is ideal for publishers using WordPress who are looking for an easier way to work with Google products within the platform. Currently, you can only access two of the major Google products, namely Google AdSense, and Google Webmaster Tools. Google AdSense - You can use it to earn money by placing ads on your website. 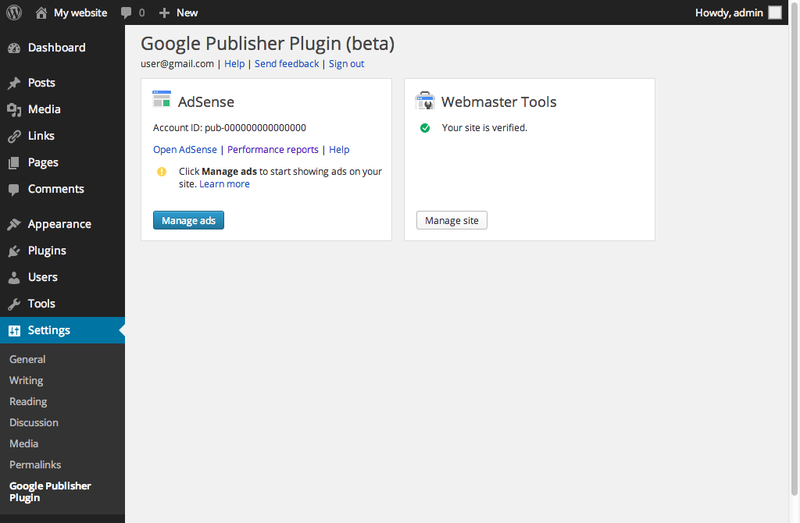 This plugin links your Google AdSense account with your WordPress site, and makes it easier to place ads on your site. You no longer need to manually modify any HTML code! Google Webmaster Tools - This provides you with detailed reports about your pages' visibility on Google. This plugin allows you to easily verify your site in Webmaster Tools with a single click. Please keep in mind that this plugin is still in its beta phase. Google is still fine-tuning the plugin to make sure it works well on the many WordPress sites out there. 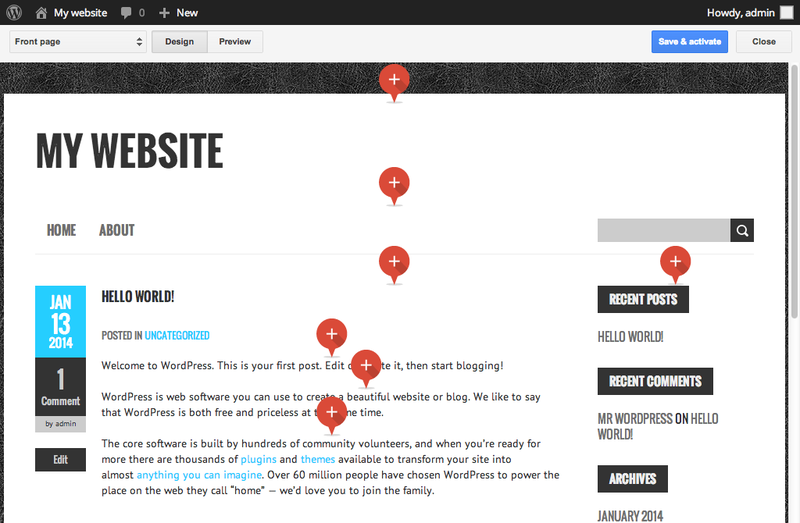 We love Google, and we love WordPress. Ergo we love this plugin. We've tried it out on our WordPress installations, and although in it first stages, we like the promise of having more Google products right inside the WordPress dashboard, so that everything can be managed under one roof site. It will really help me when i will change to Wp. its simple but required this tutorial for newbie. Yes This type of tricks really required for newbie in wp. Nice Buddy i really like your articles, recently i have started my new Blog "Webzine-World" http://www.webzineworld.blogspot.in/ i want you to suggest me something better to do with it. & i need a favor from u, the problem is my blog is not showing any comment just above the comment form if i tried. take a review of my blog & tell me. Google publisher is really a great plugin to have track of Google AdSense reports directly in our WordPress dashboard and it also has some other benefits as you mentioned above. I think doing search engine optimization is little difficult as we'll need to use wordpress seo plugins that can be tough for newbies specially. Well, That's a great post bro. Keep posting great ideas!